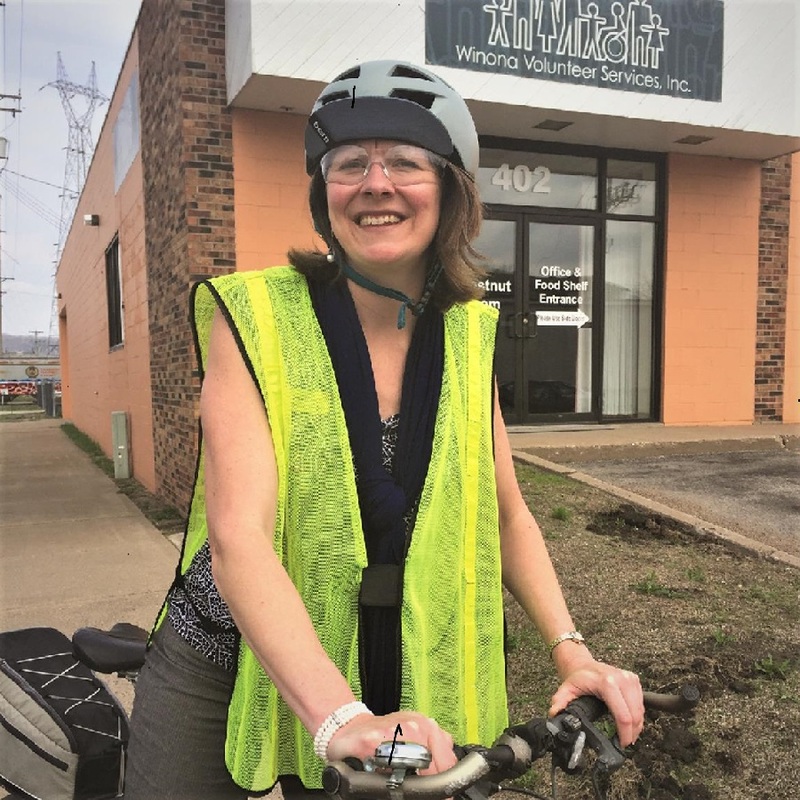 Now, with beautiful fall colors starting to peak in and around Winona, pedaling along the bluffs may make you feel like you’re Indiana Jones scouring foreign lands for lost treasure. But hold on there just one minute Major Tom, you’re still in Southeast Minnesota. 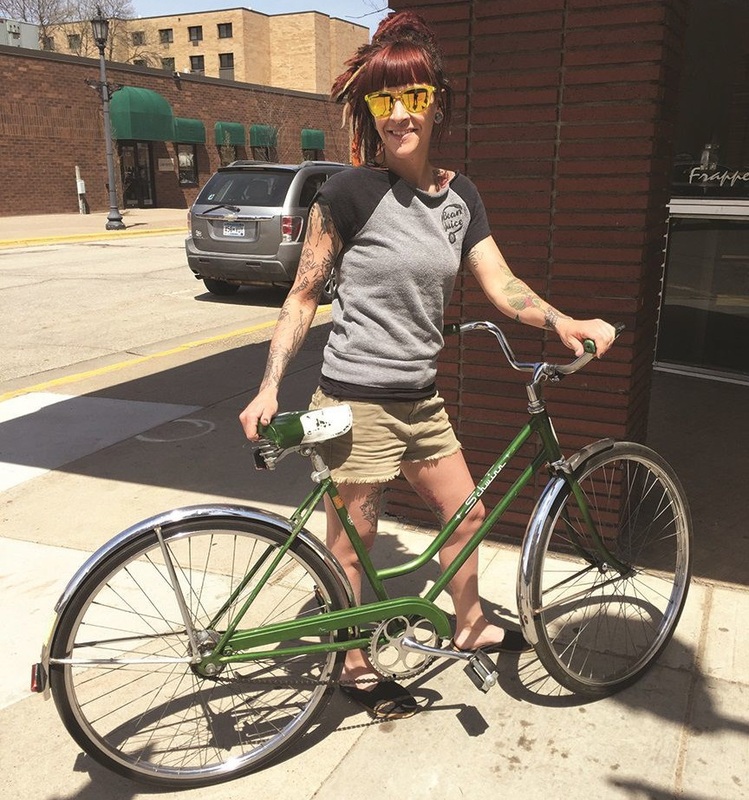 Ready to enjoy the thrills and features of one of the most bike friendly communities in the state. 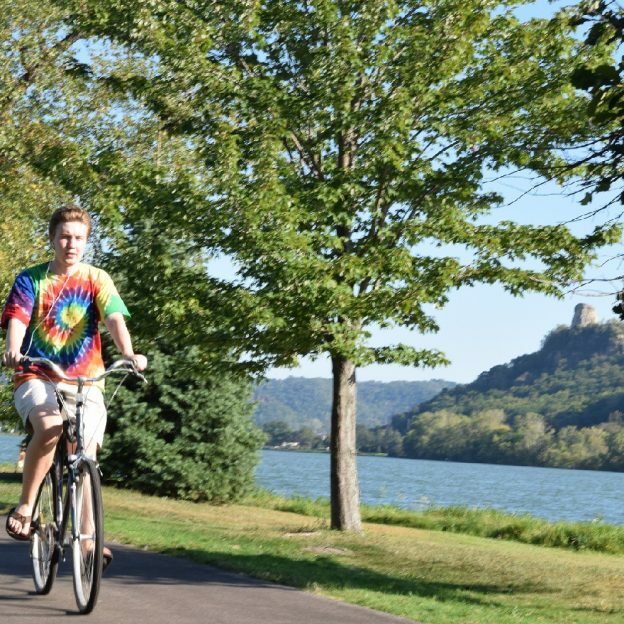 The city of Winona and its surrounding area is a must-visit destination for those yearning for a free wheeling outdoor bicycle experience. 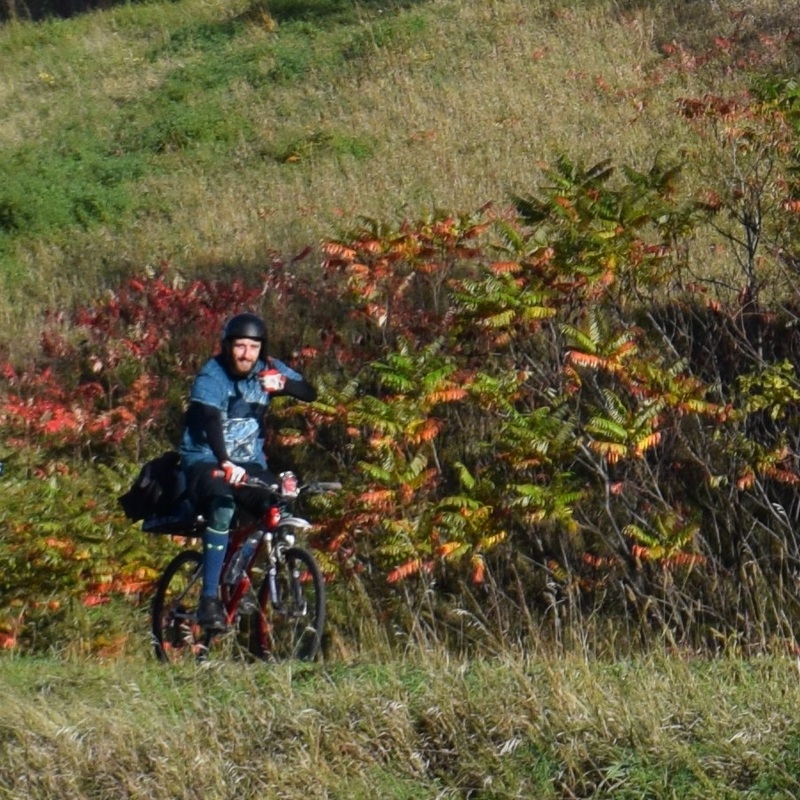 Mountain biking in the Mississippi River Valley area is colorful this time of the year. The area allows you to roam nearly wherever you choose – and there’s plenty for you to explore. You can forget about your weekday worries as you pedal down the scenic country roads. And if you’re looking to take a break and spend some time on the water, then there’s lakes, rivers, and streams to wet your line or paddle around on. The town of Winona, bordered by bluffs in the Mississippi River Valley offer several opportunities to explore the area. 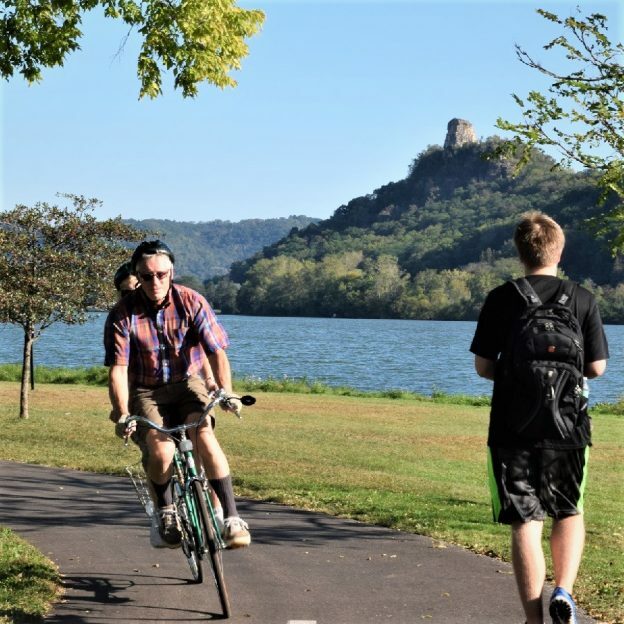 You can enjoy the trails around Lake Winona, explore the many low traffic county roads, the local section of the Mississippi River Trail, or get in some mountain biking around the bluffs. Whatever you and your two wheels crave, there’s something for you. Like a ride out to the historic Pickwick Mill south of town. I love to swing by Levee Park when I am in the area and look at the river. Especially in the morning and catch the sun rising, slowly leaking over the river and onto the rooftops of the city. Riding trail around Lake Winona, enjoy the colors surrounding like Sugar Loaf (Chimney Rock) in the background. At Winona Lake Park the paved trail offers riders a 3.7 and 5.3 mile loop option. It runs along the south side of the city and circles both segments of Lake Winona. The terrain is flat and easy for all skill levels. It’s also a multi-use trail if you prefer to walk it. 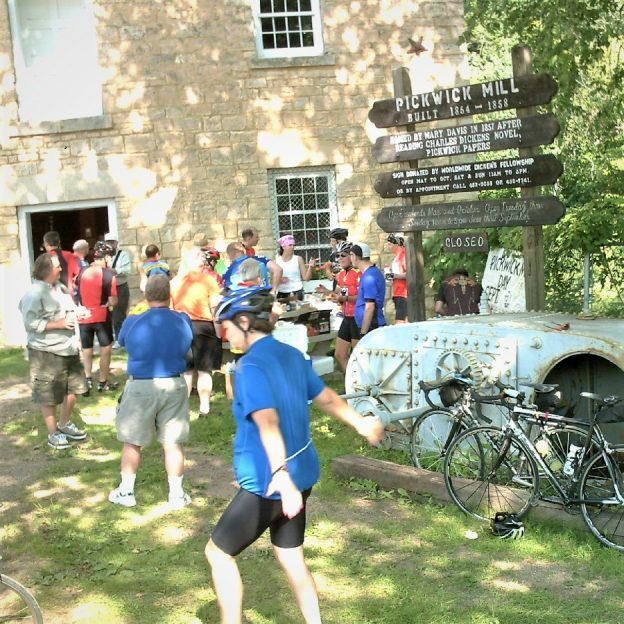 The Historic Pickwick Mill is just on of the sights you will see riding south out of Winona. The Mississippi River Trail is a bike route that follows the Mississippi from Lake Itasca to New Orleans. Signage is complete through Winona to make it easy to follow. One of my favorite routes, if you like to view wildlife take the MRT along the river, upstream. Turn right out of Prairie Island Park and follow the left fork of the road (the right leads to McNally’s Landing) down a long straightaway. Watch for waterfowl — you’re surrounded by the National Wildlife Refuge. 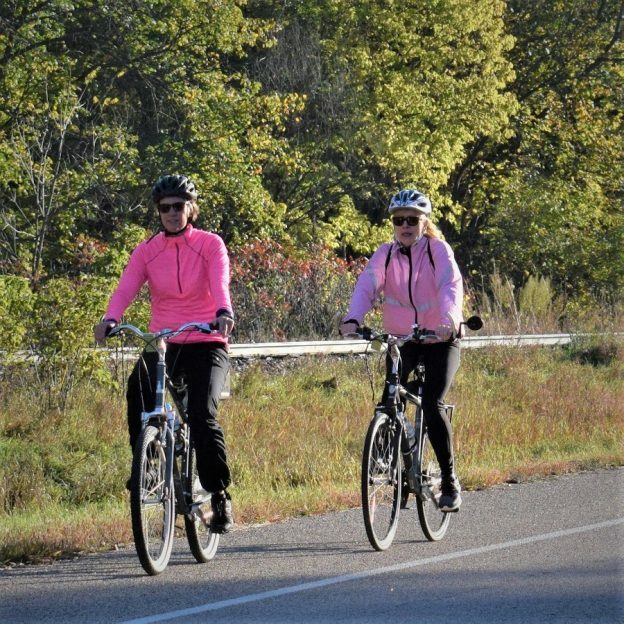 Winona’s roads offer long and refreshing rides along scenic county roads where you can get a glimpse at all nature has to offer. And there are many loops you can follow so you won’t have to fear getting lost. There’s the Gilmore Valley Loop which takes you past St. Mary’s University, the Burns Valley Loop, the Pleasant Ridge Loop takes you by the Bunnell Historic House, the Prairie Island Loop, the Richmond Ridge Loop, and the Rollingstone route goes through Winona State University and ends at the Luxembourg Historical Museum. See more on page 46-47 of the Minnesota Bike/Hike Guide. 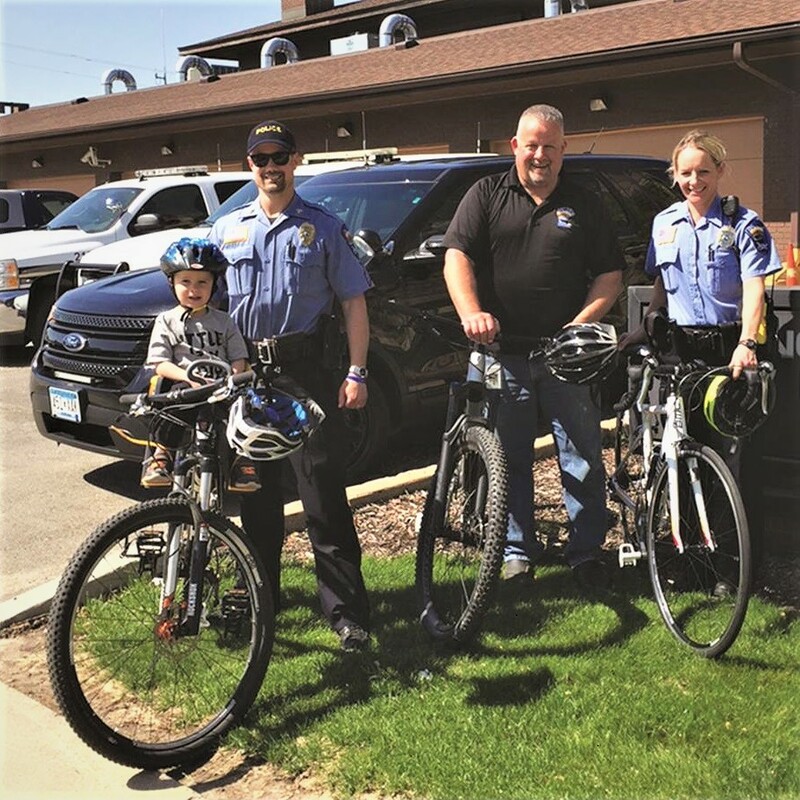 With several off-roads cycling opportunities in the area the whole family will enjoy the trail systems here. 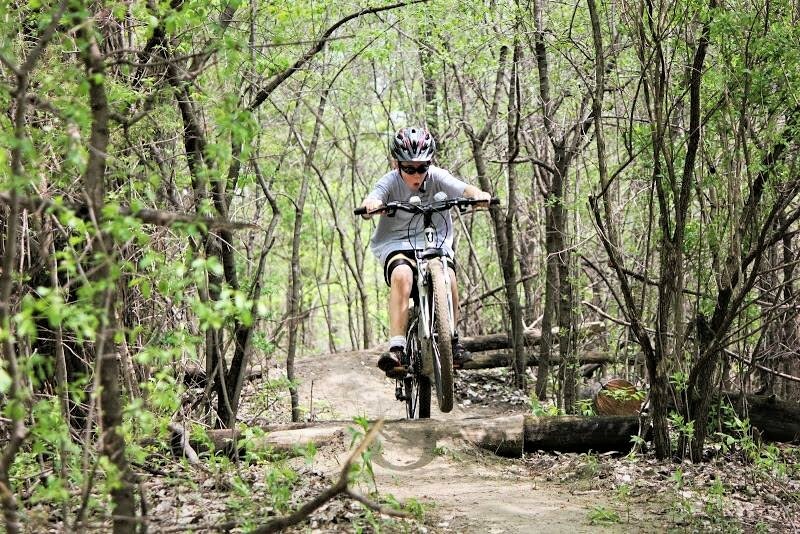 The mountain bike trail offers 12 miles of short and steep climbs and downhills, as well as winding curves as it forks and wanders through mature hardwood forest and bluff top. Most of the surface here is rocky clay and in the spring, wildflowers bloom to add to the picturesque scenery. This state forest offers mountain bikers and hikers alike several options with the Bronk Unit Plowline Trail. Winter, spring, summer of fall the trail sytem here offers a mixed terrain ride of fun loops to ride. The North loop has two spur trails that lead to scenic overlooks of Stockton Valley and the Mississippi River Valley. There’s also the Trout Valley Forest Management Forest Unit which has two multi-use loops that take you from the valley to the top of the bluffs and more. You can also go on another unforgettable adventure in the Kruger Forest Management Unit that takes you along the Zumbro River and the area’s bluffs. Sitting on the edge of the Mississippi River, Winona is also home to three unique colleges: St. Mary’s University, Minnesota State College Southeast, and Winona State University. These colleges add a lot to the city’s bike-friendly atmosphere making it easy to take in all the attractions here. 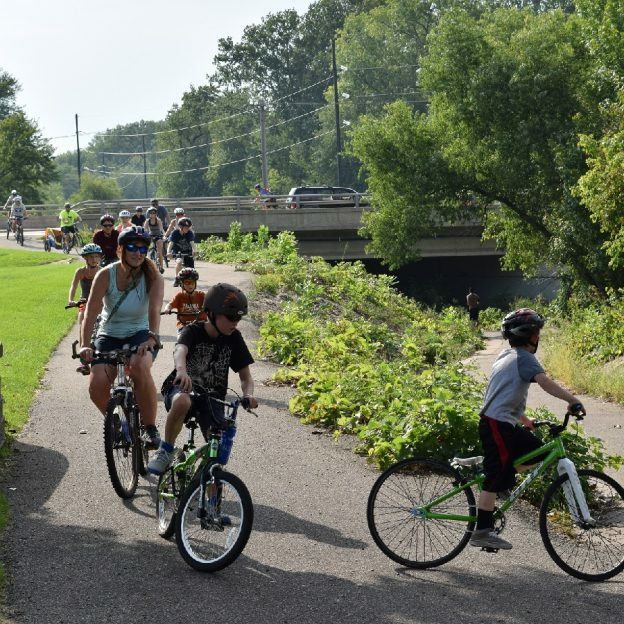 The city’s bike-friendly nature allows for more than just hitting the trails and its scenic roads. There’s plenty to discover about its history and many of the buildings here are on the National Register of Historical Places. You will also find many locally-owned shops and restaurants, so there is something for everyone. 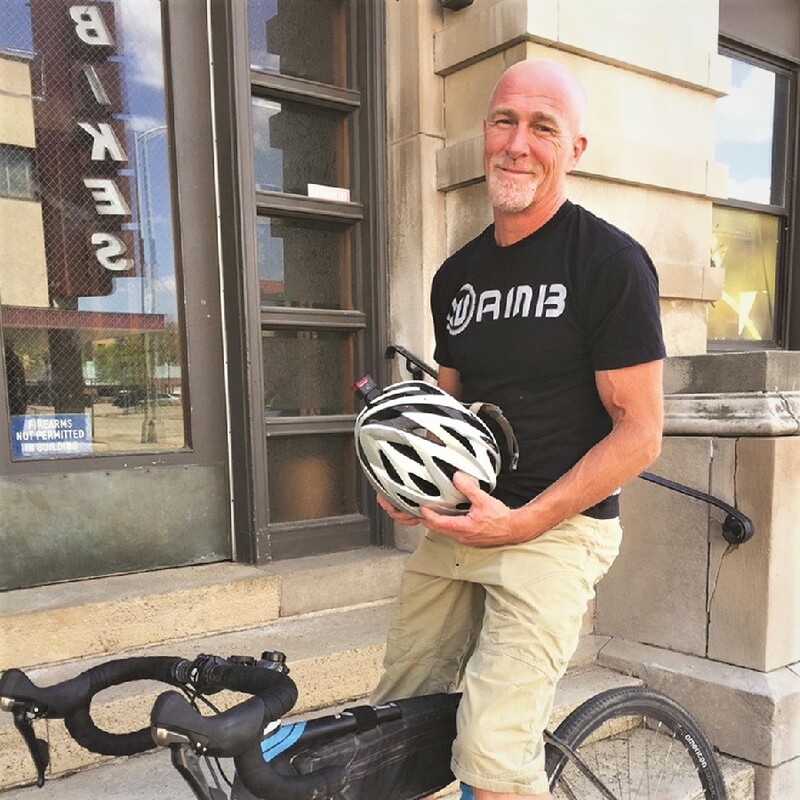 Be sure to check out our At-A-Glance Winona Article for more details on where to stay, play, and explore for your hand-held devices. As this story and the At-A-Glance Article are mobile-friendly for your convenience. So have fun, visit Winona and enjoy the fall colors. This entry was posted in News and tagged Burns Valley Loop, Gilmore Valley Loop, Holzinger Lodge Trail, Indiana Jones, Lake Winona, Levee Park, Major Tom, Mississippi River Trail, Mississippi River Trail town, Pleasant Ridge Valley Loop, Visit Winona, Winona MN on October 16, 2017 by Russ Lowthian. Memorial Day is a perfect time to bike round Lake Winona with Sugar Loaf in the background. This chimney rock formation, named Sugar Loaf is a part of the bluffs on the Mississippi River topped by a rock pinnacle, overlooking the city of Winona, MN. 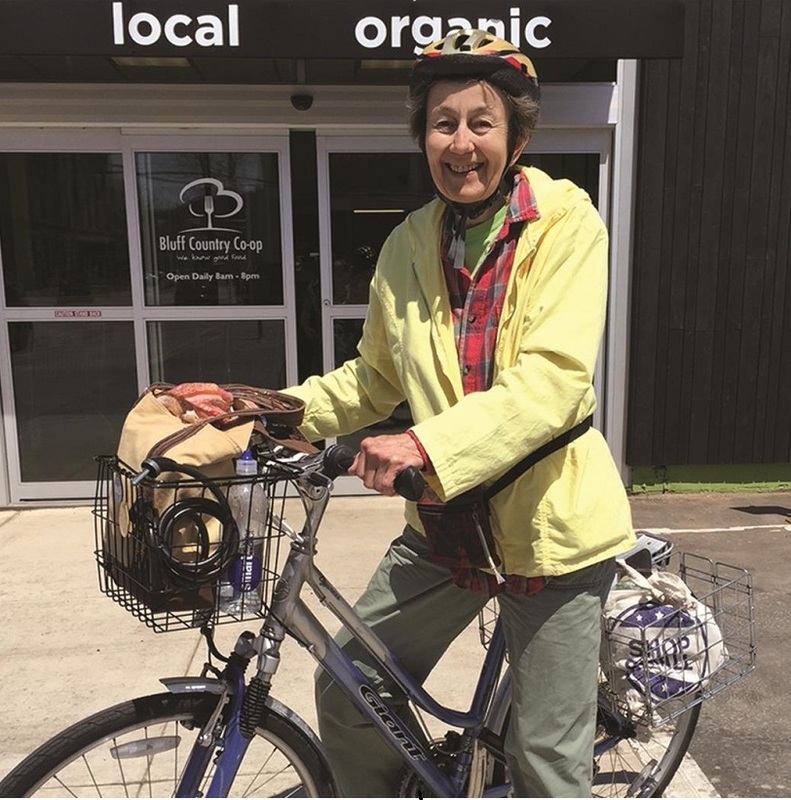 This entry was posted in Picture of the Day and tagged #nextbikeadventure, #onlyinMN, Bike friendly Winona, Lake Winona trails, Memorial Day ride, Mississippi River Trail town, MN trails on May 30, 2016 by Russ Lowthian.